Welcome to South Charlotte Football! South Charlotte sure is! We have worked long and hard to find the right organization to associate with, that holds our values of fun, good sportsmanship and the necessity of being a scholar-athlete, with the emphasis being on scholar. Our choice at SC was joining the Pop Warner Football Association. Besides being around for 75 years and being well respected, they share a common philosophy regarding children and sports, in particular football: Fun, safety, learning, development and a focus on scholastics. Children are required to play in their own age and weight bracket. We play under the local association of Pop Warner called the Pop Warner Little Panthers. More information on our league can be found at www.popwarnerlittlepanthers.org. PLEASE CLICK HERE FOR SC PATRIOTS PROGRAM DETAILS & REGISTRATION! All South Charlotte Patriots coaches will be trained and required to complete the USA Football Coach Certification Program on Heads Up Football. Kids compete with kids of similar age and size. Pop Warner is the ONLY youth football program (local, regional and national) that sets and enforces a strict age and weight matrix that reduces the risk and reality of injuries. 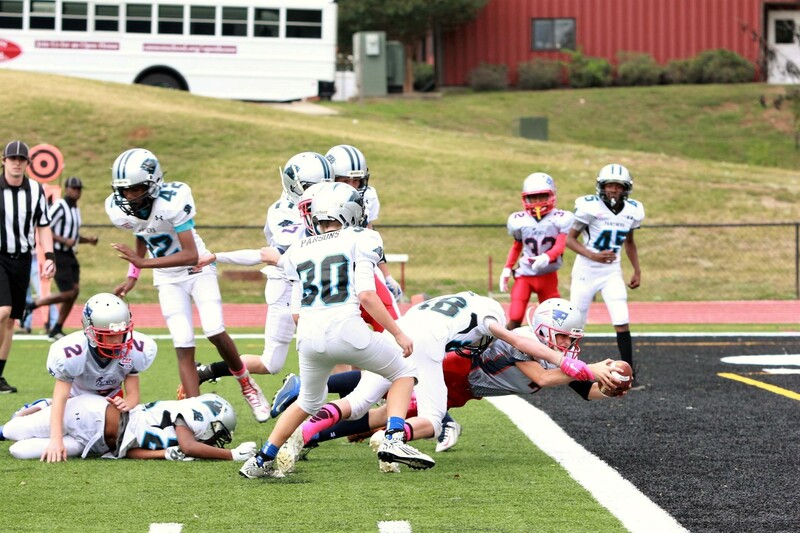 Read more about the benefits of playing Pop Warner Football!